Is The Portable Fender Passport Mini PA System Too Small To Be Of Worth? The name Fender immediately brings up some high expectations on performance and quality – and this is undoubtedly true for the Fender Passport Mini PA System . Here we have a device that is a small, 7w portable system for general use with two inputs – one for the microphone and one for the instrument – and a large 6.5’’ speaker. There are some neat little tricks hidden in the feature list, such as the effects for the vocals and instruments and the chance to adapt the handle into kickback stand. There is a lot here to tempt new buyers, but does it deliver? 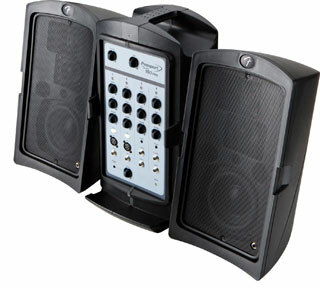 Is The Fender Passport Event PA System Capable Enough For Medium-Sized Events? 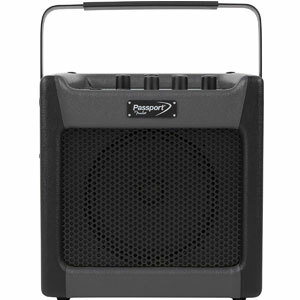 The Fender Passport Event PA System is a powerful model with 375 watts and international voltage operation. This is the event PA that is suitable for medium sized audience – which is listed by the manufacturers as church gatherings, coffee shop gigs and a school presentations. It comes with the two speaker cables and a detachable power cord. There are always going to be high hopes from a Fender PA system because of their reputation in the world of music and sound production. Is this sound system a good example? 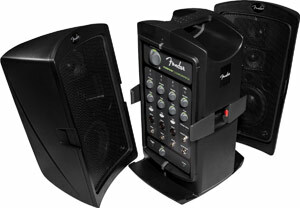 Does The Fender Passport Conference PA System Meet Brand Expectations Of Sound Quality and Professionalism? The name Fender is always going to catch the eye of buyers looking for musical equipment and the specification of the Fender Passport Conference PA System means that there is a lot going on to keep that attention and really tempt musicians and public speakers looking for the ideal PA system. This includes the 175 watt speakers, 5-channel mixer, and a variety of inputs and other little details to improve the versatility and user experience. Does this product live up to brand expectations or are there some clear problems than mean consumers should look elsewhere? 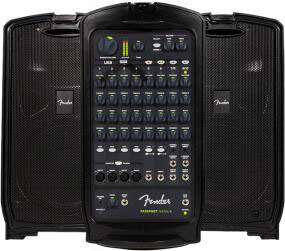 Is The “Ongoing Evolution” Of The Fender Passport 150 PRO PA System Over hyped? 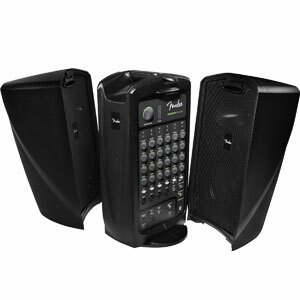 Understandably, the main reason that consumers will turn towards the Fender Passport 150 PRO Portable PA System with Mixer and Speakers is that it is a Fender product. However, there is enough in the specification and sales pitches to really convince performers that this is the best option around. The system offers four channels, a range of specialised controls for tone and volume and a class D amp and is designed to minimise feedback and be easily transported. These features are apparently all part of an “ongoing evolution” that makes Passport systems the best around: do their users come to the same conclusion?